This lightweight and ultra quiet Lifan ESI 2000iER generator provides clean power and is easy to maneuver. It is ideal for small homes and appliances in the home. It can be taken on campsites and used with an RV or boat due to having a 55dB rating at 23 feet, so as not to bother your neighbours. This product is sold for about $700 online at Amazon. 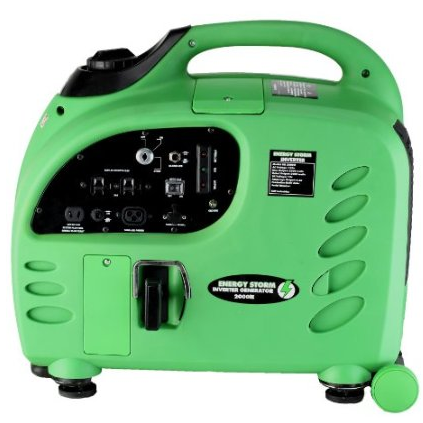 It comes with a suitcase to store the generator in and a mobility kit. 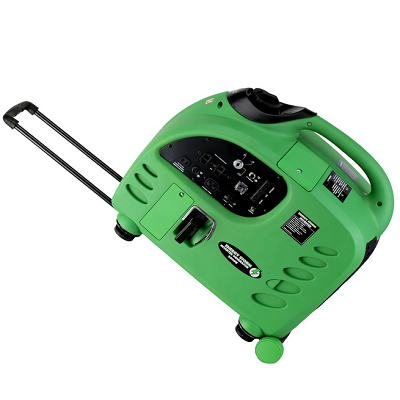 It has a handle to carry the generator around from place to place. Also comes with a 12 volt starter battery. The main feature is the electric remote start. You can start this genny from practically anywhere in your home, tent or RV. You can also start this with a traditional recoil system if the starter battery is flat. The clean power out put is ideal for electronics, TV, phone chargers and laptops due to the inverter creating under 2% total harmonic distortion, so not power spikes to damage your electronics. An additional feature is the ability to operate for more than five hours at half load on a full 1.9 gallon gas tank. Other features include its strong four stroke engine, its ability to run 2,200 watts maximum and 2,000 watts continuous. It has an auto idle feature that allows the unit to run more quietly and use less fuel, saving money when the lower load is lower. This product is recommended for its compact size and easy storage. It weighs no more than 60 pounds and is parallel connection ready if you want more clean power and have an additional unit.